Mitab launches their new furniture family Campfire, designed by Stockholm based design collective Note Design Studio. Watch the video below to learn more. Campfire is a collection of sophisticated and surprisingly simple furniture catering for the modern nomadic work environment. 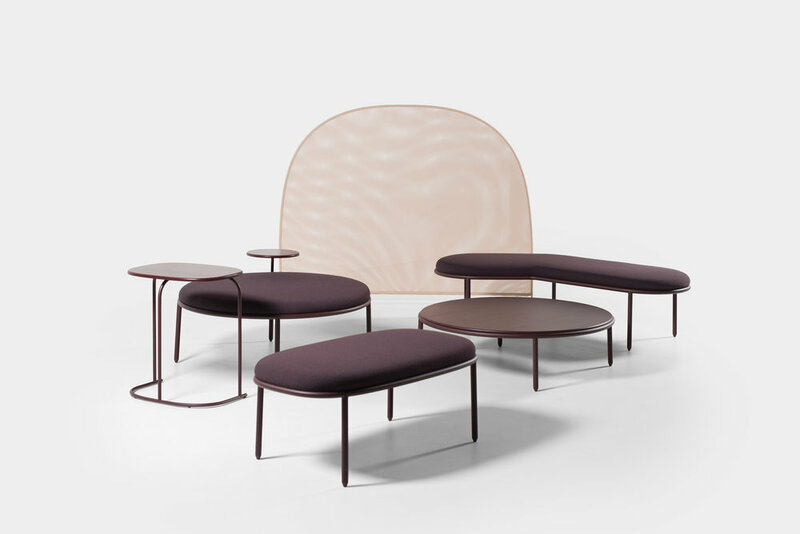 Comprising of six pieces - two benches, a large circular bench, a low table, occasional table and a screen - the range is inspired by the designers’ emotional response to the concept of a Campfire: an inviting, warm, informal place where people come together and share. Campfire’s versatile, freestanding design and lightweight construction means the pieces can be easily moved and reconfigured, offering a fluid setting and opportunity to create a ‘place’ in any space. An immediately recognisable character ties the pieces together as a collection yet gives them a strong identity to work equally well as individual, stand-alone pieces.